The Loud Librarian is another member of the Secret Gardeners Guild at VCFA who writes wrenching and hysterical scenes in young adult fiction. She also is a teacher turned librarian with quite a few ideas up her sleeve. At my library, we are immensely fond of Book Bashes. A Book Bash is basically a shindig centered around a particular novel or series. 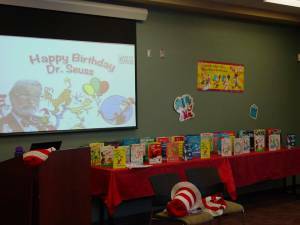 For example, to celebrate “Read Across America” this past Saturday, our library threw a Dr. Seuss-themed book bash and we had over fifty local children and their parents attend. 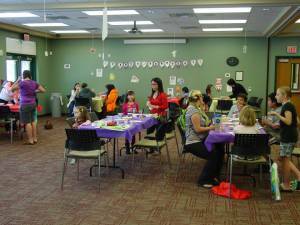 Book Bashes are a fantastic way to increase foot traffic at your library. Not to mention the obvious fact that it’s a great way to foster kids’ love of reading and build relationships in the community. Plus it’s fun! 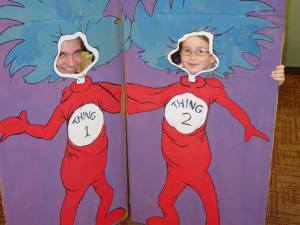 Moreover, Book Bashes are great for any age group. Tweens and teens love them to – as long as you maintain the “cool” factor. Book Bashes take an incredible amount of work, but they are definitely worth it. 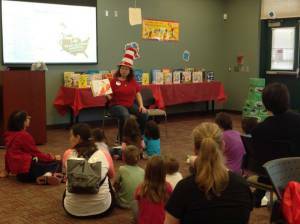 Here are a few tips to keep in mind when throwing a book bash of your own.